halo guys...is tis phone can get the android version 2.2? http://www.youtube.com/watch?v=dsMsdQvGBwU this is the X8-01? hi guys. i want to buy this phone but i'm kind of confused. :p will you recommend this phone? is there any possibility that the X8 may have another update which will unlock the multitouch capability, same as with X10? Could you make a review of this phone running on Android 2.1 Eclair. Please. :) I'm really interested on this phone. Thanks a lot. Andrew, 22 Dec 2010Can x8 install garmin?How to send song via blutooth? 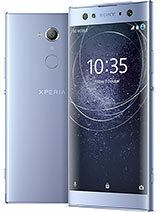 I am thinking about this phone... Does anybody have problems with playing some games because of lack of multitouch? my battery lasts for less than a day. all data connections turned off, no running apps, no live wallpapers, lowest brightness and i loose about 3% battery every hour on standby. please suggest something. my phone is about 1 month old. Can anyone tell me why I should buy x8 instead of lg optimus p500 ??? P500 is cheaper & offers better features . So ,please suggest me which one to buy ? Thumbs Up for SE for another great phone..
the worst phone i have ever used....will never use any other sony ericsson phone again....my nokia and samsung is good. X8 is a nightmare phone. Guys just google it and see the complaints of the phone by users.I think SONYERICSSON will be no more after a few years. can anyone tell me this phone can upgrade to android 2.2 froyo?